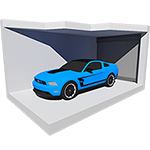 Car storage is the perfect solution for a cluttered garage. There are numerous reasons why you may suddenly find yourself in need of an enclosed, covered or uncovered car storage unit. For example, car storage units are very convenient if you don't have enough space at home to keep your classic cars or motorcycles. Small businesses also benefit greatly from car storage as many commercial vehicles, like work trucks and vans, can not be parked in residential areas. No matter what your reason may be, a car storage unit can afford you the peace f mind knowing that your ride is safe and protected until you need it again. Depending on your needs, you can choose between an enclosed car storage unit and an uncovered car storage unit. Both offer great value and varying degrees of protection for your valued car or motorcycle. If you are looking for a perfect way to protect your car from extreme temperatures, precipitation, sun damage, and natural disasters, enclosed car storage units are an ideal choice. Although you will typically pay more for enclosed car storage, you may save money in the long run by not having to repair hail damage, a cracked windshield, or a flooded interior. If you have a truly priceless car, a collector's item, or are leaving your car in storage for long periods of time, an enclosed storage for your vehicle can offer you the peace of mind knowing that your car is truly protected. In areas with harsh weather conditions like Chicago or New York and enclosed unit should be your choice, specially if you are going to keep your vehicle in storage for several months. Before you choose an enclosed storage unit, it is important to measure your car carefully and consider all of your storage needs. Enclosed storage units come in standard sizes, so if you are unsure of your needs, give us a call and we’ll walk you through it! If your car has been customized, such as added larger wheels or a lift kit, you should consider that carefully, as this may add significant height to your vehicle. 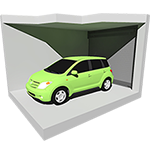 Small enclosed car storage units are typically offered in 10' x 10' and 10' x 15' versions. 10' x 10' units will typically fit motorcycles, minis, or very small sports cars. The vast majority of American small cars, however, will fit inside a 10' x 15' enclosed storage unit. This includes coupes, hatchbacks, and some small crossover SUVs. Medium enclosed car storage units are best for the majority of American cars on the road. If you have a mid-sized sedan or even a minivan, a medium storage unit of 10' x 20' is your best and most economical choice. This is by far the most popular choice for car owners who are looking to store their car safely. 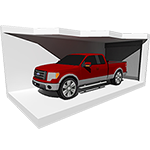 Large enclosed car storage units are usually 10' x 30' and are perfect for large SUVs, pickup trucks, and full-sized vans. This is also a good option for anyone who wishes to store more than just an automobile in the storage unit or for anyone who wishes to have a little extra elbowroom to work on their vehicle. Units of 10' x 30' are often perfect for fitting a vehicle, plus furniture and other household items. 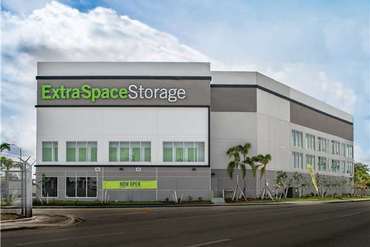 While large enclosed storage units are a bit pricier, they may be the best financial choice for those individuals with multiple items to store. Having all of your items in one storage unit may be a cost-effective and efficient solution for both long-term and short-term storage. If you're looking for a budget-friendly vehicle storage solution and don't need maximum protection from the elements, then an uncovered car storage unit may be the ideal choice for you and your vehicle. While uncovered storage units will not protect your vehicle from the sun or snow, these units will offer secure protection from theft, vandalism, and other types of property damage. Even better, uncovered car storage units are much cheaper to rent than enclosed car storage units. This is especially nice for college students, small businesses, and those in need of a way to store their vehicle without spending a lot of money. In tropical areas like Fort Lauderdale and Miami an uncovered parking spot should be enough, but only if you are going to keep the vehicle for short periods of time or if the vehicle will be taken in and out. Small parking spaces (Up to 8.5' wide x 20' long) are perfect for all kinds of cars, both small and mid-size cars. They are also perfect for regular size pickup trucks, vans, and SUVs. For the average American, a small parking space is a perfect solution for clearing out a garage or driveway. Medium parking spaces (Up to 8.5' wide x 35' long) If you have a slightly longer vehicle, you may want to consider a medium size car storage unit. These parking spaces are ideal for full-size vans, trucks, and larger SUV's. You can determine how much space you need by fully measuring your car or truck before choosing a parking space. If you're considering long-term car storage, there are a few steps you must take to protect your car from damage. Changing the oil and filter in your car at regular intervals is very important. It can keep the engine cleaner, and help your car run longer. It's also vital if you're putting your car into a storage unit. It may be required if your car is under warranty. If you don't do regular maintenance on your car, you may not be able to have warranty work done on it, because the lack of maintenance could have caused a problem or made it worse. Even if your car isn't under warranty any longer, you still want to take good care of it, and a lot of that care comes from simple things like making sure the oil has been changed on a proper schedule. While many people take their car to a dealership or a mechanic to have the oil and filter changed, you don't have to do that. You can change the oil in your vehicle yourself if you follow a few simple steps. While not every vehicle is the same, it's usually not too hard to locate the dipstick to check the oil, and to find the drain plug and the cap where the new oil goes in. Doing it yourself is also often cheaper, and you can change the oil and filter at your convenience, instead of working around a mechanic's schedule. That's a great way to get more accomplished in a short period of time, so you can get your car stored properly. The cooling system is among the most important parts of your car. You don't want to neglect it, or your car could overheat and stop working, causing you to be stranded somewhere. When your car is in a self storage unit, you also don't want to take the chance of having anything freeze. If you just have water in your vehicle's radiator, it can freeze in the winter and lead to cracks and other damage. Repairing that kind of a problem can be very expensive, and the car would likely have to be towed to a mechanic, costing you even more. Rather than take that chance, it's better to drain the cooling system and refill it with a 50/50 mix of antifreeze and water before you put the car into storage. You could take the car to a mechanic to have that done, but it's also something you can do yourself, to save time and money. Since some makes and models of cars have to be handled differently, it's important to consult your owner's manual for the proper way to drain and refill your cooling system. That way, you'll be sure to do it right and you won't be putting your car at risk. Be sure to use good antifreeze, too, especially if you live in a climate where winters are harsh. You don't want to take a chance on your vehicle's radiator and cooling system freezing and becoming damaged while it's stored away. Your transmission, differential, and steering box are essential components of your car, even if you're putting that car into a storage unit for a while. Depending on whether you have an automatic or manual transmission, there will be different ways to top off the fluid or grease that it requires. The differential and steering box also have to be addressed, because leaving any of those systems low can mean damage will occur while your car is sitting idle. Whether you're storing your car for just a couple of months, or you have to store it for a lot longer than that, it's always best to make sure every system is primed and ready to go when you retrieve your car. Ensuring the car will work right when you get it back is a big part of storing it. When you put a car into storage, letting it sit for a long time can really take a serious toll on the engine, transmission, and other systems. However, you may not want to pay a mechanic to do some of the simpler things that can be done easily at home. Rather than spend a lot of money to have your vehicle's fluids checked and topped off, locate the reservoirs yourself and add fluid if needed. Your owner's manual can show you where the reservoirs are located, so you can be sure you're checking the right things. If any are low, be sure to get the right type of fluid for your vehicle, and fill it up with the proper amount. Brake fluid matters. If you don't have enough fluid in your brake system, you could end up with brakes that feel "spongy" and that don't adequately stop the car properly. Naturally, that's something you want to avoid. It can be a serious hazard, and can put your life and the lives of others at risk. Even if you're putting your car in a self storage unit for a while, you still want to make sure the brake system is topped up and ready to go. It's one less thing you have to worry about when you pick your car up from storage and start driving it again. Having a full brake system can also be easier on the car, since it's designed to have a certain level of fluid in it. You don't want to risk problems such as parts drying out because they don't have fluid on them like they're supposed to. When brake fluid is low while the car is in storage, that lack of fluid could mean serious problems. Fortunately, topping off brake fluid is very easy. You just need to locate the reservoir on your car, and make sure it's filled to the proper line. If you do that you'll have adequate brake fluid, along with less to worry about. Then you can focus on any other issues your car might have, or on other things you need to take care of, so you can get your car back out of storage faster and in good condition. Protecting a car's finish while it's in a self-storage unit is very important. Even if you feel like your car is protected from normal wear and tear because it's out of the elements, it can still become damaged. It's going to be exposed to heat and cold, and it's also going to collect dust. Over time, those kinds of things can damage the paint, and you don't want that to happen. Whether it's nearly new, or it's an older car that's still in great shape, you should wash and wax the exterior before putting it into storage. That's especially important if you're going to store your car for a long period of time, but should be done even for short-term storage. Just about anyone can wash and wax a car, but you want to make sure you do it the right way. Improper washing and waxing can actually be hard on your vehicle's finish, so take your time and do things the right way. By using the proper type of detergent and focusing your efforts on correct waxing technique, you'll be able to ensure that your car's finish is as protected as possible. Any dust that accumulates on your car will be easy to remove if the car is properly waxed, and the heat and cold won't affect the paint as much, as it's well worth taking the time to do. It's not just the outside of your car that should be clean when you put it into a self-storage unit. You also want to make sure the interior is vacuumed and cleaned out very well. Many cars have dust, dirt, plant matter, sand, mold spores, and other things in them, just from someone getting into and out of them frequently. Your car is likely no exception, but you can reduce the risk of having any of that cause you a problem if you vacuum your car thoroughly before you put it into storage. That can also help get rid of odd smells that you might otherwise encounter from things left in your car. There are two ways to vacuum out your car. You can use your home's vacuum cleaner, or you can go to a car wash where they have the large, coin operated vacuum machines. Both are good options, depending on how much you need to get out of your car and whether your home's vacuum cleaner is a good one. You definitely don't need to pay someone else to clean the interior of your car for you, though. 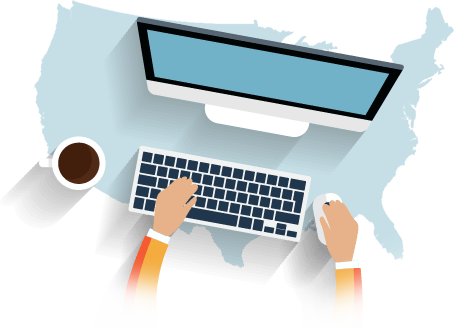 You can do it yourself, which will save you time and money. Thoroughly vacuum the entire car, and also make sure you vacuum the seats and door pockets. It's easy to miss something if you don't get all the cracks and crevices, so get the car as clean as possible. Cars that are placed into a self-storage unit situation need to have their battery disconnected. If you don't do that, your car's battery will be dead when you come back to get your car, especially if you leave it in the storage facility for months. That happens because there are small systems in any vehicle that pull a little bit of power. Things like your clock running, or your radio holding preset stations all take a tiny bit of battery power. To avoid your battery going dead, you can disconnect it. Sure, you'll have to reset the clock and the radio, but it's well worth it when you're not stuck with a dead battery when you try to get your car out of storage later. Disconnecting the battery isn't hard to do, but you do want to be careful with it. Batteries carry a charge, and you could be injured if you don't take it loose the proper way. Take your time and make sure you understand how to take a battery loose safely. You could have someone do it for you, but you can certainly do it yourself and not risk any harm as long as you understand what you're doing. Reading up on batteries and having the right tools are both important, so you can get your car into the storage facility and disconnect the battery, so your car has the best chance of starting when you come back to get it at a later date. It's very important to make sure that the battery connectors are clean. They can corrode, even if you live in a dry climate. If you're in a more humid or damp climate, though, they're more likely to suffer from corrosion. That corrosion can mean the battery won't provide adequate power, or that power will have trouble making it through to the systems that need it. With that in mind, you can keep your battery connectors clean while your car is in a storage unit. Baking soda and water is the best way to clean battery connectors. It's gentle, but yet it's also very effective, so you can get what you need from it and not worry about harm to your car's electrical system. Just make sure you understand how to safely and properly clean your battery connectors, so you don't end up damaging anything in the process. If you understand how to do it the right way, you can end up with very clean battery connectors that you can easily put back onto the battery when you get ready to get your car out of storage. That's a good feeling, especially when you've done something like that yourself and have accomplished what you want to do. It's also one less worry when your car is being stored, because you'll be able to reconnect the battery and start your car right up when you're ready to take it out of storage and to your new home. Protecting the exhaust tip can help keep moisture out of the engine. Most people don't think about that, but it's not that hard for a car to accumulate moisture. Damp or humid climates naturally put a car in a storage unit at risk, but it's not just about the level of moisture in the air. There's more to the issue, and the risk, than that. Even cars in drier climates can end up with moisture problems in their engines if they stay in a storage facility for too long. You can avoid that, with the plastic baggie and rubber band trick, so don't forget to take those items with you when you plan to put your car in a storage facility. As your car sits in storage, it will experience temperature changes. When it goes from very warm during the day to cool at night, condensation can occur. That's especially true on metal, which is what your car's exhaust pipe and much of your engine is made from. To avoid that condensation and the resulting potential moisture problem, the baggie and rubber band over the exhaust tip can be a very good idea. If your car is only being stored for a couple of weeks you may not need it, but if you plan to keep your car in storage a lot longer than that, it may be well worth the few seconds it takes to place the baggie and slip on the rubber band. When your car is in storage, a few basic maintenance tasks must be performed to prevent damage to your vehicle. If possible, start your vehicle and drive it around for 15 minutes every two weeks. This will help maintain the battery charge and keep the engine and all components properly lubricated and running smoothly even while your car is in a storage unit. It's understandable that driving your car around like this isn't always possible, because you may be too far away from your car to drive it frequently. If that's the case, you may be able to get a friend or family member to drive it for you while you're away. Barring that, you should drive the car as often as possible, and only leave it in storage for a necessary amount of time. That will reduce the risk of your car developing problems from sitting too long without getting any usage. Even just 15 minutes of driving every two weeks means your car will get the engine warmed up and all the fluids will circulate and get used. That can make a big difference in how the car handles being stored. It's true that a car can wear out through overuse and abuse, but it's also true that cars can wear out from not being used enough. Cars are designed to be used, and if they aren't used enough they may end up slowly starting to fall apart. You can avoid that pretty easily, fortunately, by ensuring that your car doesn't sit too long at any one time. Storing a car doesn't have to cause it damage or problems, as long as it's done right. A car that's been in a storage unit for a long time without using the A/C system can really end up smelling musty. Then, when you turn the A/C on, it smells like mildew and dust. That's really unpleasant, and it can be difficult for people who have allergies or other problems, because they generally can't handle the dust, dirt, and mold spores that build up in the A/C system and come out through the vents when the air is turned on. Fortunately, there are easy ways to avoid those kinds of problems, and one of them is making sure the car doesn't sit too long without the A/C being run. Even once a month can be enough, but every two weeks is often better. While you're driving your car every two weeks for 15 minutes, turn the A/C on. Even if it's cold outside, the short drive isn't about your comfort. It's about making sure that your car stays healthy and all the systems get used enough to continue to work properly. That will help your car be ready to go when you pull it out of storage later on, no matter how long you have to keep it stored. By running the A/C for just a little while, you'll clear out mold spores, dust, and unpleasant smells that can easily appear in an air conditioning system in any vehicle, so it's an important part of storing your car. How long your car will be in a self-storage unit matters. A few weeks or even a couple of months generally isn't that big of a deal, as long as you follow proper before-storage and during-storage maintenance tips. However, some people need to store a car for a very long time. If you're going to have your car in storage for many months, you need to remove the wheels. Don't take the tires off the rims. Take the wheels completely off the car and store them separately. If you don't do that, you could end up with flat spots that will cause your tires to be ruined. Even if your tires are very new, they can still become damaged and unusable. Since tires can be quite expensive, you don't want to ignore the proper care of them. Flat spots aren't something that will get better by driving the car later on. They are permanent issues, and they can't be corrected. Don't end up spending a lot of money for new tires, or to have the rims fixed because they have become damaged from the weight of the car sitting on them for months at a time. Cars are designed to be driven, and if you can't drive your car for a long period of time, you want to make sure you take the best care of it that you possibly can. Taking the wheels off to avoid flat spots is part of that care. When you put your car into a storage unit, even if it's not going to be there that long, you want to make sure that your tire pressure is good. Having low tire pressure can lead to flat spots in your tires, that won't always correct themselves once the tires have been inflated to proper pressure. Keep that in mind, and make sure you take a careful look at how much pressure you have in your tires when you put your car into storage. Check the pressure when you first store your car, and also check it each time you go to check on the car itself. Even if you can't drive the car, you should make sure the tires are staying aired up properly. You may have a tire with a slow leak in it if the pressure starts to go down between the times you check it. However, strong changes in temperature can also affect the amount of air you have in your tires. When the temperature goes from something really warm to something really cold over the space of a day or even just a few hours, tire pressure can change. That can mean your tires get low, and then they could end up not having enough air to protect them from flat spots. That's why it's so important to check your tire pressure frequently when your car is in storage, so you don't end up with an extensive problem. A lot of people who put their car into a self-storage unit think that it's better to store it without much gasoline. After all, gasoline is very flammable, and you don't want to risk blowing your car, and the storage facility, up. Even though that line of thinking makes sense, it's actually much better to store your car with a full tank of gas. That way, you won't get moisture and condensation in your fuel tank. That condensation can put water into the fuel, and it doesn't take much water in the gasoline to cause your car to develop serious problems. Not starting is only one of the issues you could face. Once water gets into the gasoline and into the engine, there are many parts that can be damaged. That can lead to a lot of expensive work that will need to be done, and it's very simple to avoid all of that risk by simply storing your car with a full tank of gas. If you drive your car for 15 minutes every two weeks, as is recommended when your car is being stored, you'll eventually need to top off the gas tank, as well. Taking good care of your car and making sure the gas tank stays full is a simple thing to do, and can make a world of difference when it comes to preventing any accumulation of moisture in the gas tank. Even if your vehicle seals up very well, there are still opportunities for pests or rodents to get into it while it's in a storage unit. They can make nests in the engine, and can also find ways to get into the trunk or even the passenger compartment. If they get inside the engine or other parts of the car, they can easily cause a lot of damage. You don't want to take that risk, so you should check periodically to make sure that there isn't anything getting into your car. If you see any evidence of nests being built or of pests or rodents getting inside your vehicle, you'll want to take steps to eradicate the problem quickly. That can keep the issue from getting any worse, and stop damage before it becomes too bad. You want to look for any kind of nesting material, such as cloth, straw, sticks and twigs, or other items that are being balled up or collected together. Whether they're in the engine compartment or somewhere else in the car, it's very important that you find them and determine where the animals are getting in at. Some storage facilities seal up better than others, and you may have also elected to store your car outside or in a less-sealed area. If that's the case, you'll want to take extra precautions to make sure that you check your car thoroughly, just to keep the possibility of rodents or other pests from becoming a problem. When a car, truck, or motorcycle has been in storage for a long period of time, it is important to check it thoroughly before driving it. Here are a few tips for taking your car out of storage. Before you take your car out of the self-storage unit, check it for any evidence of pests. You want to pop the hood and take a look at the engine compartment, to see if there are any problems. Look for anything that resembles a nest, along with chewed wires, nuts or other types of food sources, droppings, or anything out of place that could have come from an animal or insect of some type. Of course, it's not just the engine compartment you need to be concerned with. There are also ways that some pests can get into the trunk, or even into the main passenger compartment of your vehicle. Generally, larger pests aren't going to be able to get into the passenger area unless there are holes in the floorboard or other problems. There may be holes in the firewall, though, where wires and other things come through into the passenger compartment. These holes should be well-sealed, but rodents and other pests may still try to chew their way in or look for other ways they can get into other parts of the car. With that in mind, check the main passenger area of the car. Look up under the dashboard and the seats, and make sure you don't see any evidence of a pest of any kind taking up residence. Do the same for the trunk, and you should be free and clear of pests where your stored vehicle is concerned. It's a good idea to put your car into a storage unit as clean as possible, but there may still have been some items in it or dust and dirt on the finish. You may have also used your car as storage, by putting some items in the trunk and passenger compartment. Those items will have to be removed, and you should completely clean out the car in preparation for removing it from the storage unit. Also, be sure to wipe off any dirt or dust. Even if you put the car into storage when it was shiny and clean, dust and dirt will accumulate on the car's finish while it sits in the storage facility. You can't avoid that, but you can clean up the car before you drive it away. Be sure to use the right kind of cloth to get dust and dirt off the car. If you use something abrasive, especially in the absence of water, you might find that you end up scratching the paint. Even the best, most well-protected paint job can get scratched up if it's rubbed too aggressively with a cloth that isn't soft enough or that has fibers that are harsh or rough. It's better to wash the car, but you may not be able to do that at the storage facility. Clean your car carefully, and you'll protect its finish for a long time to come, and have it looking great when you remove it from storage. Before you drive your car away from your self storage unit, make sure the fluid levels are good. Even if you checked them and topped them up before you put the car in storage, that doesn't necessarily mean those levels are still where you want them to be. It's possible that there is a slow leak in one or more systems, especially if the car is an older one. That can result in a loss of fluid, and can make driving the car unsafe. Check the oil, the radiator, and the transmission fluid, along with the brake and power steering fluid, and other important levels. By doing that, you'll be giving your car the best chance of running right when it comes out of storage. If you find that some of your fluid levels are low, make sure you top them off before you drive away. Things like washer fluid can often be handled at a later time, but you don't want to risk driving your car without enough brake fluid or oil, for example. It's not hard to check fluid levels, and most cars have brightly colored or clearly marked dipsticks and caps that are easy to spot. That helps you remember to check fluid levels and find the areas you need to locate, even if you're not that familiar with cars. The more you know about your car and how to check its fluid levels, the better off you'll be when you pull your car from a storage facility. Over time, rubber components and hoses can wear out and dry out, especially when you have a car sitting in a storage unit. When that happens, they can crack. They can also be subject to dry rot if they sit for too long or they aren't used enough. Once dry rot or cracks start to appear, there really isn't anything that can be done, except to have the component or hose replaced. That might not be something you can do before you pull your car out of storage, because you may need a mechanic to handle it for you. Even if it's something you can do yourself, you'll probably need a different location and the right tools. Fortunately, you can always check the hoses and components at the storage facility, before you leave. It's not difficult, as long as you know where those components and hoses are found. Check them over carefully. You can use a flashlight, and squeeze the hoses to get a good idea of whether you see any cracks. You can also start up your car and let it run for a bit, in order to see whether anything starts leaking. Just make sure never to let your car run in an enclosed space, because that could put you at risk for carbon monoxide poisoning. Pull your car out into the open air before you let it sit and idle. That will keep you much safer, and you can still check everything for cracks and leaks. Your tire pressure is a very important part of being safe on the road. Even if you have good pressure in your tires, though, you may find that the tires themselves aren't in the best shape, especially if they've been in a storage unit for a long period of time. Check the pressure in all of the tires, and carefully inspect the tires for dry rot, cracks, missing chunks, or a lack of tread. If you find that the tire pressure is low, be sure to put air in your tires before you drive away. It's not a good idea to drive with low tire pressure, even for a short distance. It can put you at risk of an accident, and can also damage your tires. If there are problems with your tires that go beyond how much pressure is in them, you'll have to assess whether it's safe to drive your car to a shop to get those tires fixed. If it's safe to do so, you can take your car in to have the tires repaired or get new tires. If it's not a safe thing to do, though, you'll want to have the car towed to a shop instead of driving it. You can also take a damaged or defective tire and rim to a shop by removing it from the car and using another vehicle to transport it. Then you can get it fixed, take it back, and put it back onto the car that you're pulling out of the storage facility. Your car battery should have been disconnected while your car was in the storage unit. When you're picking up your car, it's time to reattach the battery and check to see if your car starts. If it won't start, you may have to charge up the battery or get a jump start from another vehicle to get moving again. That won't be completely surprising if your car has been sitting in storage for a long time, or if there has been a lot of cold weather. Cold days and nights can easily drain a battery, and you may want to take the battery out of your car and take it with you if you're storing your car for quite a while. Keeping the battery in a warmer location can keep it from completely losing its charge. That will make it more likely for your car to start when you put the battery back in it and reattach the cables. Being prepared for a battery that won't start is a good idea, though, because you need to be sure that you can get your car even if the battery is dead when you arrive. Getting your car out of storage may be something you need to do by a particular date, so you want to have the necessary tools to make that happen without a lot of extra hassle or problems. The more easily you can do that, the faster you can pick up your car and be on your way. Cars that sit in a storage unit for a long time need to be ran for a few minutes before you drive off with them. That's because all the fluids are sitting in the bottom of their reservoirs and aren't through the engine. The oil has drained into the pan, and everything else has settled, as well. Because that has happened, it's very hard on the engine to just start up the car and drive it away. Let it idle for a few minutes, so the engine can warm up and the fluids can circulate properly. If your car is stored in an enclosed unit, though, make sure you pull the car out into the open before you let it idle. That little bit of movement won't be harmful, and will reduce your risk of carbon monoxide poisoning. It's actual driving that is a serious concern for an engine that hasn't ran for a while, so take your time and let the car warm up. While it's idling, you can check the tires, rearrange some other items in storage, or just relax. You don't need the car to idle for a long time, but a few minutes will be a good idea and will protect the car's engine and other systems from risk of damage from not being properly lubricated while they are being used. Protecting your car when you pick it up from storage is very important, so take the steps to do that. Even though you checked out the brake fluid level when you pulled your car out of the self-storage unit, you still want to test out the brakes before you drive the car away. Instead of just heading out onto a major road, test the brakes and take it slowly. Choose a smaller road, or drive around the facility for a minute, to make sure the brakes are working properly. Sometimes brake pads can get a bit stuck when they haven't been used for a while. If your car was sitting in storage for a long time, it's possible the brakes won't work the way you expect them to. Don't take that chance on a major road with a lot of traffic. Instead, find out if your brakes are working properly on smaller roads or in a parking lot, where you can get assistance and avoid a big problem if there are issues with your brakes. Sometimes brakes will "grab" when they haven't been used for a while. They also might be "spongy" or not work as well as expected, and you want to know about those kinds of things before you get out into traffic and suddenly find yourself with a problem. Overall, you can keep yourself and other people safe by making sure your brakes work properly when you first pull your car out of storage. That will also give you peace of mind, so you'll have less to worry about.